Allonature has been specializing in hair removal for several years, and more particularly in organic hair removal. That's why we are committed to offer on our online store all the necessary equipment to accompany you in your hair removal from the beginning to the end of this treatment, and to ensure the maximum comfort for you. Allonature is committed to offering quality equipment to its customers since all our waxes are organic and natural. More than a simple hair removal, it is therefore a real body care that we put at your disposal. You might be interested in our natural hair growth inhibitor, or by our wax hair removal kit made of natural sugar paste. Say good bye to epilator ! And say hello to organic and natural waxes ! 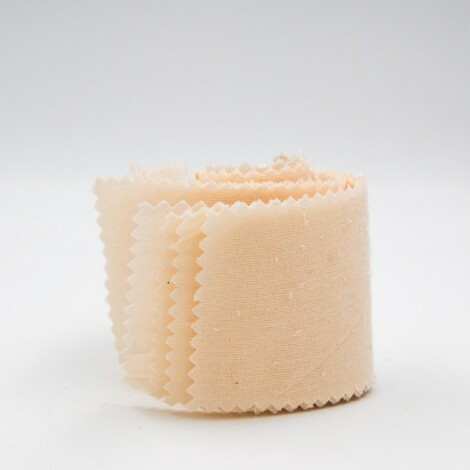 Organic cotton tapes have been specially designed to allow waxing with oriental wax. The soft texture of the bands allows a painless hair removal and provides a very pleasant contact with the skin. The Roll-on Organic Resin Wax Refill is used with your Allo Nature Cartridge Heater. It allows fast, efficient and easy to use hair removal. The kit also contains 10 strips of organic cotton, for a painless and gentle epilation for the skin. The Roll-on Hair Removal Box is a complete kit to enable professional, fast and 100% natural hair removal. In the box, you will find a roll-on of organic resin wax that respects sensitive skin, with its cartridge heater and 10 strips of hair removal, all you need to have clean and soft skin for almost 4 weeks .